Get lean and green! 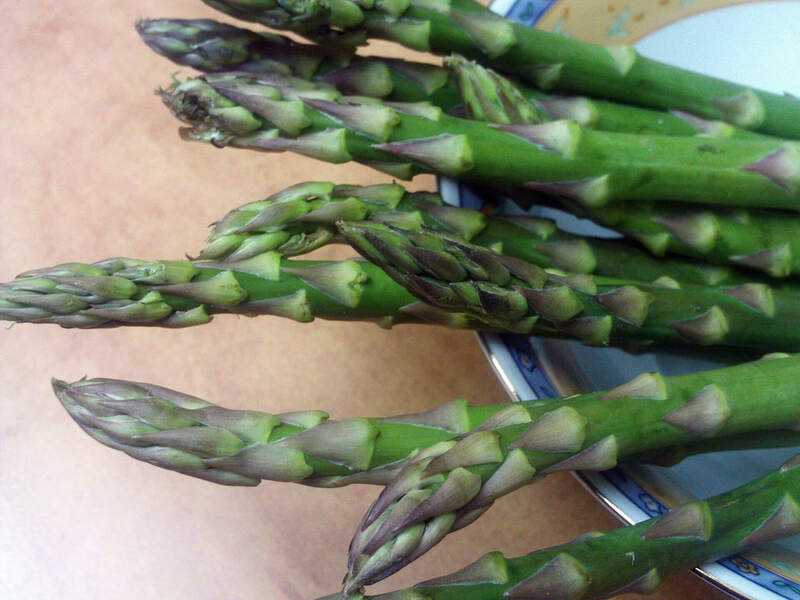 Michael Valentine of Melbourne café Pallet shares his asparagus recipe. 1. Asparagus likes a combination of a sour fat, buttermilk, sour cream or crème fraîche. The vegetable is light and crisp – the cream or milk will add more depth and give it a fuller flavour. Mix them together, but don’t make a sauce. Put it on the side as a dressing. 2. Grab some potatoes and submerge lightly in water – you don’t have to dunk them in a few inches, just a centimeter of water over the potatoes. Remember potatoes have flavour and you should cook them slowly. Simmer them; add some flavour into the water like vegetable stock. 3. Cook potatoes to your liking and then soak them in a light pickle with vinegar, olive oil, salt and sugar. Chuck in some garlic and fresh herbs like dill and let them cool down in that. Be careful though – vinegar can overpower very easily. 4. Serve as a little marinated potato along with the asparagus steamed in a pan with some butter and finish off with snow pea tendrils and the sour fat combination. Very easy, very simple, very delicious. If you want to try something different, add some rhubarb! Tip: Don’t mess around with it too much! Try Michael's delicious food at Pallet Espresso in Melbourne.